Things To Do In Dallas On Tuesday, October 10. Expect A Night Of Fun, Fun, Fun With The Beach Boys, See If It’s A Sign Of The Times With Harry Styles And Celebrate Jon Bap’s Album Release. Today is Tuesday also known as Monday’s annoying little brother. We’re willing to bet everyone can get on board with that sentiment. We also feel most of us are experts at dealing with annoying brothers. Yesterday, police found one of the worst brothers of all time, Robert Kluefer, hoarding his twin brother’s corpse inside his home in Minnesota. To make matters worse his mother’s remains were also found in the man’s home. Kluefer claims he’s not a “nut ball”. But what would you call someone who just hung out with his family members’ corpses all day. Apparently, authorities were asked by neighbors to check out the home as it reeked beyond explanation. On the bright side, autopsies confirmed that the bodies died of natural causes. Police dropped charges on Kluefer as there was not enough proof to hold him accountable for anything. But that doesn’t mean this real life episode of Criminal Minds didn’t leave our palms sweaty because it certainly did. While you’re debating on a more suitable name for this corpse-hoarding psycho we invite you to check out tonight’s events that won’t have your stomach in knots by the end. Enjoy a night of karaoke with all of your friends. Bring a full wallet for those drinks that you’re going to need for courage. The Philly-based punk band that draws influence from classic bands like Oasis and The Bee Gees made Pitchfork’s list of albums we should hear next. The band has been known to shift between politically charged material and romantic songs within the same body of work. It’s recent album, Need To Feel Your Love, is the perfect mixture of 70’s rock and punk that’ll get you moving and grooving. Here lies proof that the apple did not fall far from the tree. Lukas Nelson, son of Willie Nelson, not only inherited his father’s talent for music but also his ambition. He and his band released a self-titled record earlier this year which features Lady Gaga on a couple of songs, proving that the younger Nelson can dream big, too. Unfortunately, the fans have witnessed many of the band members leave to be replaced by new ones including a few founding members. But not to worry, the show will go on for this avant-garde alternative metal. The fans can eagerly expect some new music as the band is currently working on something special for us. So get out here and see if they tease us with something fresh. A Polish horror musical or gruesome version of The Little Mermaid. The Lure is returning to one of Dallas’ coziest theaters for one night only. The duo’s debut album had a very unconventional but strategic launch. The songs on the album were released one at a time, one per month to be exact. The alternative pop group has since dropped its sophomore album titled Ultralife. Both albums have received a great deal of praise, so don’t be surprised to catch a bangin’ show. Experimental soul musician Jon Bap has chosen an unusual opening track for this debut album. “What Now?” features a woman guiding the listeners through a session of meditation lasting roughly 10 minutes. It’s a daring move for someone trying to make it big, but hey, he’s choosing to go hard and we dig it. A night filled with soul, alternative, pop, and hip hop brought to you by CoLab and Friday’s Foolery in Deep Ellum. 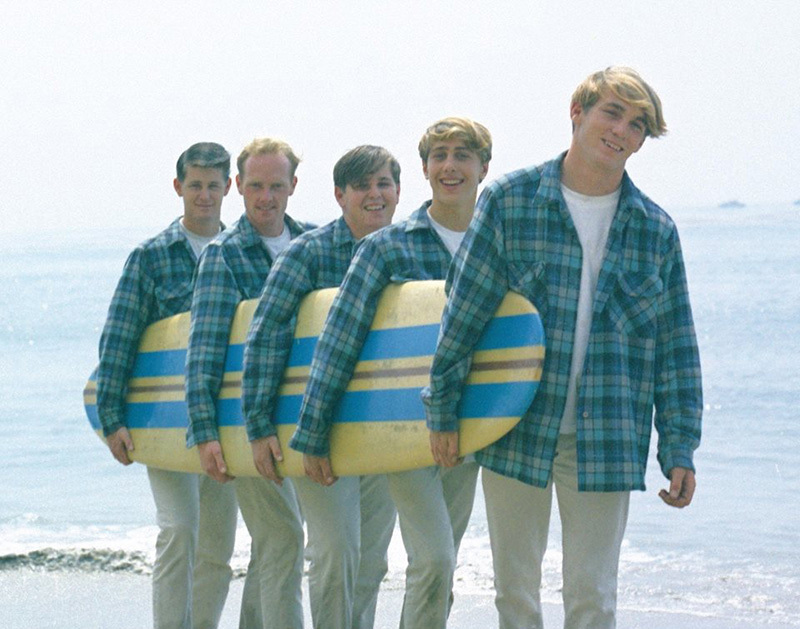 Known for its vocal harmonies and multi-layered sounds that never went out style, the California surfer boy band remains one of the most influential acts of the rock and roll era. Rolling Stone listed the group at No. 12 “100 Greatest Artists of All Time.” But the Boys will always be No. 1 in our hearts. Previous ArticleJerry Jones Is A Two-Faced Trickster.